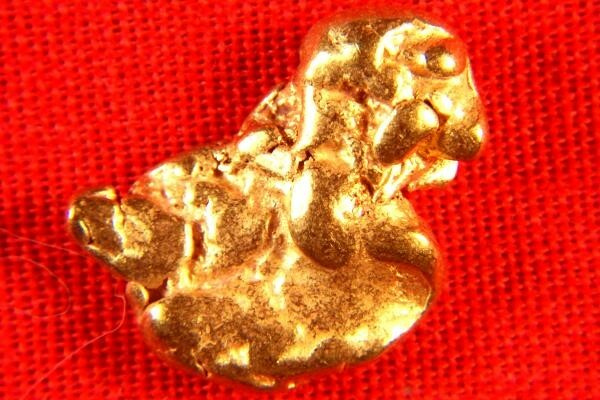 This is a very rare and unique gold nugget found by a prospector in the Gold Country of Northern California. It is not often that you see natural gold nuggets from California for sale as they have been hard to find since California banned suction dredging in 2009. I only have a couple left. This is a clean high quality jewelry/investment grade natural gold nugget. 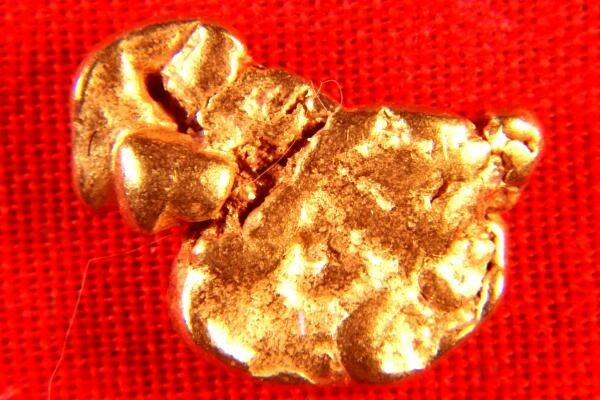 This unique shaped gold nugget is 1/2" (13 mm) long and it weighs in at 35.9 Grains (2.32 Grams).